I decided to participate in the Sew Mama Sew meme for my year-end wrap up post. That being said, I have to comment on the constant use of gray- particularly as it's use as a solid, combined with collections and various prints. I used 3.5 yds of it myself for my Tufted Tweets quilt. Gray has also been popular in modern fabric collections released this year. It also seems like a lot of people have really embraced precut fabrics - charm squares, jelly rolls, layer cakes, and fat quarter stacks. For me, I avoid all but the last category - as long as I can get the fat quarters for an average of $1.50 per fq - or less. I feel that I really have to get the most bang for my buck and $40 (with shipping), for example, for thirty 2.5" strips is a rip-off. I have also noticed a trend of people being willing to pay lots of money for out of print fabrics. Heather Ross Goldfish fabric soared over $90 per yard on ebay and Flea Market Fancy fat quarters sold for $45 a piece on Etsy. For me, I get much more excited about a bargain, but I have to admit that I take a second look at a an "out of print" fabric that is at a local quilt shop for normal price - when maybe it's hardly even my taste. I also feel that baby boy fabrics have finally been given some attention by designers. Urban Circus, All Star, Urban Zoologie, 2D Zoo, Traffic Jam, Wheels by Riley Blake, Groovy Guitar, etc., are all decent collections that are appropriate for baby boys but don't scream "nursery." Lastly, artists who started with Spoonflower have been discovered by major fabric companies and seem to be enjoying quite a bit of hype and success as their designs are being produced on a much wider scale. Laurie Wisbrun and Aneela Hooey are the two designers I can think of right now who fit into this category. EASILY, my most favorite thing of this year was joining the New England Modern Quilt Guild! Last February (?) we all crowded into The Fabric Corner and nervously ate milk and cookies as we met people from all over the area who were as excited about sewing and fabric as I was! I had left my then, 4 month-old son, for the first time ever - there was NO way I was going to miss it! It wasn't long before the NEMQG has become a thriving and fun organization and treasured friendships have blossomed. We have done two charity quilts, a doll quilt swap, we are in the middle of a bee, and we have pretty consistently met twice a month for meetings and sew-in's. 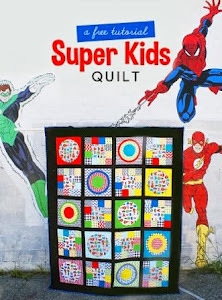 I discovered a few new blogs I really loved this year: Gehring Road, Gone Aussie Quilting, Make It Modern, A Quilt is Nice, Green Bee Patterns, and Trillium Design. These blogs are what I like best about sewing blogs: they have great pictures, beautiful taste in fabrics and projects, and they aren't constantly trying to sell something and rattling off about their sponsers. The fabric collection I liked the most from this year was Moda's City Weekend, with Anne Kelle's Remix coming in at a close second. What was the best thing you made in 2010? I have to say that I am pretty proud of my bird mobile that I made from the Spool Sewing tutorial. It was intimidating to do all of that hand sewing and then to put it together! But it is still a big hit with my one year old son and I know our family won't ever outgrow it! I am also proud of the birthday presents I made my son. I made his whale quilt and four whale softies in about one week! It wore me out but the results were so cute! I have over 100 favorites on flickr, but three that stick out to me are here, here, and here. What do you think 2011 has in store? Reprinting fabrics maybe? In 2010 we saw Moda reprint some Momo Wonderland, Westminster reprinted some Lotus favorites, and word is that Free Spirit is going to reprint some Joel Dewberry woodgrain fabrics in January 2011..... Maybe fabric manufacturers are finally listening to consumers who want some of their favorites available again? Can you tell I am uncertain about this? I think that online fabric selling is going to keep getting bigger and bigger. Lots of local quilt shops around me have been closing, but there seems to be a lot of new online fabric merchants at the same time. Maybe brick and mortar stores will finally wake up to the competition they are facing online. This year my friends and I have had some negative experiences with local quilt shop owners (why are they always so grouchy and rude?!) and we have balked at the $11 per yd prices (plus tax), the terrible hours, and the slow turn-around - e.g. shops near me have some Anna Maria Horner Chocolate Lollipop and Garden Party but haven't even heard of Good Folks or Innocent Crush! Anything you're ready for the sewing world to get over? I am kind of getting sick of seeing the ubiquitous combination of red and aqua EVERYWHERE! But I have to admit that I am planning on doing a red and aqua quilt once and that is it. I am getting a bit tired of popular blogs that have stopped making things and constantly post advertisements for their sponsors. Most of these blogs have been removed from my Google Reader, so it doesn't bother me that much anymore but I just hope that the other blogs I love don't go down that path. It's great to be recognized and receive some support but when I take the time to scan blogs - I really don't want to read an ad. What's on your sewing agenda for 2011? What are you excited about? What would you like to learn more about? 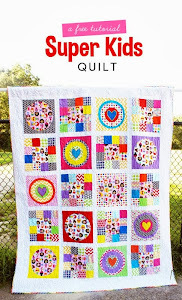 I am definitely taking a local long-arm quilting class and I am going to start finishing my large unquilted quilt tops! I also really want to make a significant dent in my stash and work on what aren't even WIP's (Work in Progress) - just stacks of fabric that I already have the pattern/plan for. I want to attempt curved piecing. I don't want to impose pressure on myself to make handmade gifts for everyone and every occasion. I am excited about events with the NEMQG - we have a trunk show in January with SewFresh Fabrics and a retreat in May. Wow- it feels good to know that I was able to accomplish so much while also taking care of my baby. I remember right after he was born I thought I would have to destash all of my fabric on Etsy because I would never sew again! I made this mini quilt in mid-November but couldn't show it until now because it is a Christmas present. As you may have guessed, I am a bit obsessed with Dresden plates right now. Coming up with an embellishment to really make the design seem like a wreath was the hardest part! I tried all sorts of ideas with bias tape, ribbon, beads, bows, etc. I finally came up with this on my own: rolling up strips of fabrics to look like roses and then centering them in the middle of a bunch of white interfaced flower leaves. The perfect print for the backing was a piece leftover from Gregory's sock monkey quilt. I entered this quilt into the NEMQG mini quilt challenge. I gifted it to my in-law's - enjoy! It's been a long time since I posted here thanks to a lousy dose of stomach flu for Gregory and strep throat for me. As soon as we recovered, Christmas was upon us and I haven't been able to sew much at all. Therefore, today's post is going to be an homage to fabric! I received lots of fabric and sewing related items for Christmas. Gregory became quite interested in my presents on Christmas morning and soon neglected his own toys in favor of scattering fat quarters all over the place. Randomly, here's a cute picture of us on Sunday morning before church. A "secret Santa" left his outfit on our doorstep a few nights before. Onto the fabric goodies! I received a full fat quarter set of Tula Pink's Parisville. She recently switched from Moda to Free Spirit. I was actually kind of disappointed by this move because lots of more traditional shops carry Moda, which meand that I have a hope of seeing some of her stuff locally (and often on sale!) The first two prints on the far left of each row are my faves. A kind woman on flickr destashed this Castle Peeps fat quarter set to me for a really cheap price - I couldn't resist! I like this collection because it's really boy friendly but also gender-neutral. My mom bought a few goodies from Hawthorne Threads. I had asked for 1.75 yds of the Urban Circus because I need to make another pair of pajamas for Gregory that will actually fit him. I also bought 2 yds of the stuff during a recent fabric.com sale - making me have owned/used 7.5 yds of that print! That's half a bolt! I can't believe I have had so much of it - but I have used it all (well, it will be all used once I make some pillow cases and the p.j.'s). The same lady who destashed the Castle Peeps also sold me this Innocent Crush fat quarter set for way below retail. I have to say that this collection is my favorite Anna Maria Horner collection to date. The colors are so vibrant and many of the prints would actually be usable with other fabrics not in the collection. Lest you think I bought all of my presents, I didn't. Nick surpirsed me with these fabric cuts from Moda's It's a Hoot line. I don't really care for all of the owl prints, but these basics of trees, dots, and flowers are really up my alley. Nick also surprised me with what may be my most favorite fabric of 2010. It's called "London Calling" by Robert Kaufman and I love the detail and the soft drape of the fabric. It's gorgeous stuff and makes me want to hunt up the same fabric in other colorways - it came out in 2009 - but there's still some of it around. I received some generous sewing notions too. Loads of white Gutermann thread, which I use very frequently. I also received the special edition Gingher rotary cutter, my own free-motion quilting foot (I'd been borrowing my mom's), some basting pins, and the New Wave ruler. OKAY - so now, I am going to review fabric from this year. I love Remix for it's soft feel and bright colors. I don't feel the need to own every print, but they are all fun and 80's-ish. I was skeptical about City Weekend when I started hearing all of the hype on the blogs- but after I saw it in person, I was hooked. It's very simplistic and retro - and I didn't feel the need to own all of the prints until fabric.com had the fat quarter bundles on sale for over half off! But I really love it and I think that it is versatile - you can use it for kids and adults. These are my favorite fabrics which I have received from my online swap group. Everyone has been generous and it's been lots of fun to trade something you like, for something you like more. Yes, there is some Flea Market Fancy here and I plan to sew with my stash of it this year into a dresden plate quilt - I know I make fun ot FMF SO much - but it is pretty, and they should reprint it! These are my favorite fabrics from this year. Yes, most of them are blue. I always gravitate towards blue! I am really hooked on the tiny elephants - those are a basic I will never grow tired of. I also have really loved the Far Far Away II collection (one print here- 2nd from the right) and look forward to Heather Ross' spring debut (which also will mean that FFA II will finally be on sale!). Something interesting this year that happened was that I became a big Tula Pink fan. I was able to swap for a lot of Full Moon Forest with flickr peeps, found lots of Hushabye on clearance, won a fat quarter bundle of Plume in a giveaway, and received a fq bundle of Parisville for Christmas. I don't care for her other collections at all, but she really does have a unique style and her blog actually shows some personality instead of sales plugs. Luckily my fabric buying mistakes have been limited. I suppose one of the biggest ones was buying 4 yds of Kona Midnight - believing it was dark blue, only to come home and realize it was definitely a deep purple.... Additionally, I am kind of regretting these wood prints by Jay McCarroll. They are whimsical and most of them boyish - but I am not sure if I will/can use them. Luckily I didn't spend very much on them because they were about $3 a yd from a fabric.com sale. Despite all of the new lovelies released this year, I am still in LOVE with Heather Bailey's Pop Garden collection, particularly her Peonies in Red print. I have 2 quilts in line to make out of this gorgeous stuff. I was a bit disappointed in Heather's release this year: Nicey Jane - it just didn't live up to it's predecessors of Pop Garden and Freshcut. Oh well. I am told she is releasing some home dec fabric soon - but that doesn't really thrill me either because I am most interested in making quilts. What do I look forward to in 2011? Sherbet Pips, Heather Ross' new line, anything by Ann Kelle, and that Melody Miller viewfinder print. Like everyone else, I want to stick to the resolution to sew from my stash and slow down the incoming and constant stash building! Any tips for doing this? So far I have thought about stopping the subscriptions from online fabric store newsletters, publicly keeping track of output and input of fabric, and formulating a strict budget. One thing I know for certain, going "cold turkey" never works. So thanks for reading this long! My next post will review this year's personal sewing accomplishments. I made this pincushion from a tutorial found here. I really loved how easily it all came together. All of these fabrics came from my swap group. This kind of setup is perfect for hand sewing - or so I am told! I can't wait to make one for myself. I made this pincushion for a swap with the NEMQG for our December holiday party. A picture of the pin cushion I received is coming shortly! I managed to finish this quilt on Thanksgiving. It is the largest quilt I have free-motion quilted and it wasn't too bad to manage. I do love that guitar quilt - boyish, but not babyish! The last two photos were taken today - for some reason he became obsessed with Cheese Nips. Anyway, I made the largest size available: 18-24 months - you can see they are a little big but I am just glad that they aren't too small. I have rifled through my stash these past two days trying to choose some more fabrics to make a few more pairs but I am running across a few stumbling blocks: most of my cuts of fabrics are 1/2 yd or less (and I need at least 5/8 for the main part of the pants) and the few pieces that I have which are 5/8+ are directional - and it would just bug me to have upside down owls or zoo animals - when the trousers were turned to side 2. I have been contemplating my tendency to buy a lot of little fabric cuts - is it really worth it to have small pieces of many fabrics, or would it be more beneficial to have larger pieces of fewer fabrics? I used Elizabeth Hartman's tutorial for my practice bee block. The only thing I did slightly different was that I mostly used rectangle and square shapes rather than diagonal lines. These fabrics were cut from fat quarters or 1/4 yds of fabric - so I didn't feel like cutting the pieces all up into "scrap-like" shapes. It is a bit wonky - but that is kind of the point. I like how it came out and I think it meets the criteria of the bee. I have made up the packets and just need to write up the instructions. My month is January but I am trying to be prepared early so that I can pass out my packets at next week's meeting, given that we won't meet again until Jan 29. I also made a dresden plate practice block in anticipation of a quilt I have been planning for a while - the same one I had mentioned before, regarding the royal blue fabric search. I had this "Easy Dresden" ruler that I wanted to try out and test completed dresden size before I cut into the other fabrics. This practice block came out just fine, but for my African quilt, I think it might waste too much fabric..... It's hard to explain but I will post more soon on that project. I hit two fabric stores yesterday in search of some necessities. I decided to take a picture of my wares to show the craziness of all of my purchases together. From left to right: a strip of Anna Maria Horner fabric to represent the 4 yards I bought for my Good Folks quilt backing (50% off too! ), Kona Cotton Solid (KCS) Cactus for Gregory's Urban Circus quilt, KCS Kiwi for my African quilt, KCS Lupine for the bee block, KCS Medium Gray for my Tufted Tweets quilt, Plum Polka Dot for the bee block, Morning Glory eggs on mustard (1/4 yd cut - my only "stash builder" I permitted myself), a random Free Spirit print that met my criteria for the royal blue hunt, and two Meadowsweet fat quarters a friend asked me to pick up for her. What do you think? Would they look good all jumbled together? Finally - I had to post a picture of a fun swap I received recently. Heather Ross had her studio sale about a month ago at a time I couldn't even consider participating.... But later, a friend in the online swap group, said she *might* consider trading this Princess and the Pea print. Out of all the things people received from the sale, this was the only thing I was jealous of. After offering her some Flea Market Fancy (I am telling you people, that fabric is like the golden ticket of fabric - you can get almost anything for it) - this soon came to my door. The Princess and the Pea fabric is the only print I liked from Far Far Away 1 - and I am kind of crazy about it. It's just so sweet. And yes, I do hope I have a daughter some day so that I can use all this girly stuff - although I am framing this one now!